Bali airport is called I Gusti Ngurah Rai International Airport in Denpasar, Bali. I Gusti Ngurah Rai is refer to the local hero who fought against the Dutch colonial in 1946. This second busiest airport in Indonesia (the first one is Soekarno-Hatta International Airport in Jakarta, the capital city of Indonesia) is located in Denpasar, the capital city of Bali. It is relatively close to Kuta and round up area. Getting closer with Bali airport could be important for you, as a tourist. Below information can be your guidance how to interact with. 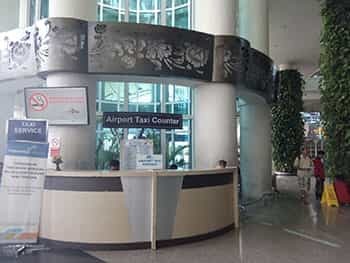 So when you are landing in Bali airport you have had better knowledge that can guide you how to interact with the airport itself, the facilities and the persons in there. Check this out, the further information about Bali airport guidance, so you know what to do when landing. If you booked a Bali car rental online before your departure, and some how you did not meet with the staff who pick you up at the airport, you can go to this place. 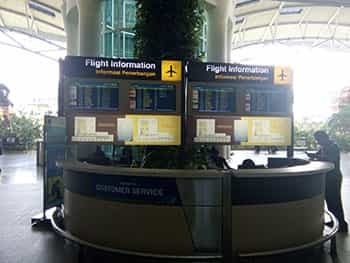 It’s called Flight Information Area which has the information on the big screen of the flight information arrival time, including the airline names. There are usually two officers who is in charge there, and you can ask them to make announcement that you are already landed but you cannot see the staff of the rental car company. By making the announcement, hopefully it will be heard by the staff who is picking you up there, and they will come there to meet you. If you need cash in Rupiah you can make money withdrawal by ATM which is available just next to the exit gate. There are two government owned company (the bank) that open banking service, including for the ATM. 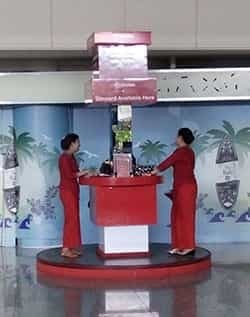 Further information about ATM and Money Changer can be seen on this How and Withdraw Money in Bali Airport page. It is a good decision if you hold a local Indonesian phone number while you are in Bali. Just in case you need to make some calls, like calling your car rental company, your hotel, the restaurants, your friends, and so on, rather than make a phone call using your country of origin number which is more expensive. There is an outlet who sell the SIM card, next to the ATM counter. It is called SIMPATI provided by Telkomsel, a government owned telecommunication company. It is reliable enough to get signal where ever you reside in the island. An authorized taxi service in Bali airport is available. You can find their counter just next to the Flight Information Area. Using their service you will get a fix price of the area you would like to go. Another authorized taxi service can be found also. The sign is there are some guys (a taxi driver) near the pick up zone who will offer you a cab. Their price is negotiable. So if you are good on negotiate maybe you can try their service. Another last option is using an online taxi using application. Read here for further information about Bali taxi online. Sometime when you just arrived, you want to get some eat first. Just close from the exit gate of arrival, you will find some stalls for you to eat. First is called Bangi Kopi Tiam (right side of gate) and the second called Kantin Cafe (left side). While the first one is serving for breakfast, lunch and dinner, the last one only serve for snacks, drinks and coffee. Both stalls is located at the first floor. If you are really hungry and need more option, you can take an elevator that bring you to the 3rd floor. This is the area departure, and in this are there are many more eating place such as Two Dragons and La Place. Need a rest room? Or even to take a shower? Ngurah Rai Airport has the international standard for the rest room. It’s so clean and tidy. To find it you just need to go to the left side of arrival gate, and you will find a sign board REST ROOM. Smoking area is available in international arrival area. But the location is a little bit away from the building. So you must take a walk for a while to the right side of terminal building and there you will find a small lounge called Tempat Merokok (Smoking Area). There is a hotel transit in Bali airport. 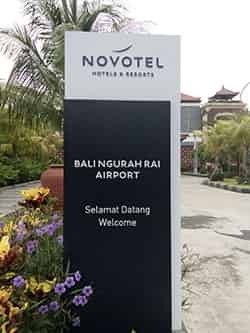 The hotel name is Novotel Bali Airport Hotel. 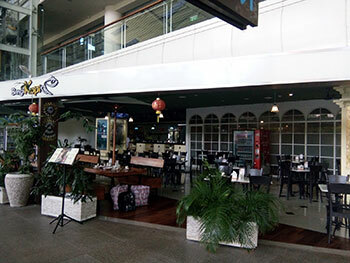 The hotel location is inside the airport area, close to the domestic terminal building. It is not far from the international arrival building terminal, just need a short walk. A transit hotel is necessary for the traveler, for example maybe they are arrive late in the evening. Rather than go far outside the airport for a hotel, it is a good choice just to stay for one or few nights in the transit hotel inside the airport, and start the trip tomorrow morning. Further information about a transit hotel in Bali airport can click this Novovel Hotel Bali Airport page. Since the last visit of King Salman early this year 2017 in Bali, the number is visiting tourist from Arabic countries have been increasing, although does not dramatically. Not only from the Arabic countries, those who traveling from other Asian countries such as Malaysia and Turkey, they are also need a praying room to perform shalat. So, this guide can be useful for them. 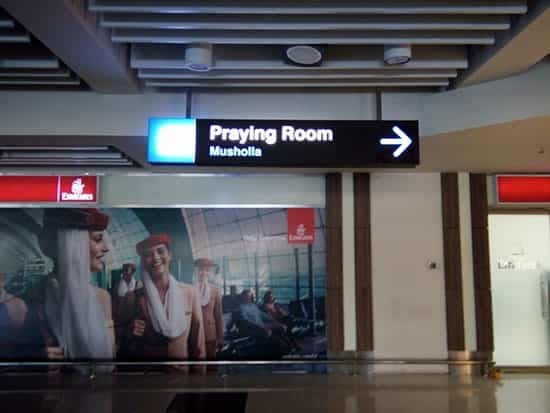 The praying room in Bali Airport is located at the 2nd floor of the terminal building. It is easy to find. If you still have difficulty to find, ask the locals there, including the airport official, they will happy to assist you to find the place. This is important for you when depart. 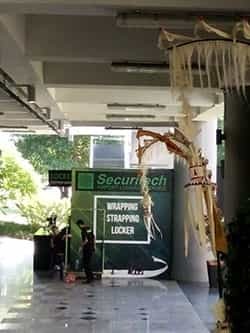 So on your last day (end of your holiday) maybe you need this service; tighten up the level of your baggage security. You can find this kind of service at their outlet close to the departure building at the first floor, next to the airport taxi lot. These are with the information. If you feel you need more assistance regarding the Bali airport, please just drop us a line in comment form.